Ask Yourself – If you had to buy X, what would you rather do, write a check or pay with an equal dollar amount of your product or service at its normal selling price? Although this is a simple question that may have a simple answer, the repercussions of what it represents are being felt by the entire world marketplace. The net effect of trade is that it can increases sales for a company and saves cash flow at the same time. No magic or tax avoidance. In fact, virtually nothing different than the transactions that take place in the cash economy. Tradesource is like a bank for registered businesses known as a trade exchange. Members of the trade exchange agree to accept “trade credit” or “trade dollars” as payment for the purchase of their products and services. Using sophisticated accounting software, Tradesource authorizes and tracks all member transactions. When a member sells $100 worth of goods to another member of the community, it is paid by a computerized transfer of trade dollars between the parties. The member can now use the trade dollars in their account to purchase other goods and services. Tradesource provides its members with monthly statements, online access to account history, and a directory of members trading in the network. Because Tradesource’s trading pool is so large, it isn’t necessary for one member to trade with another for equivalent goods or services. 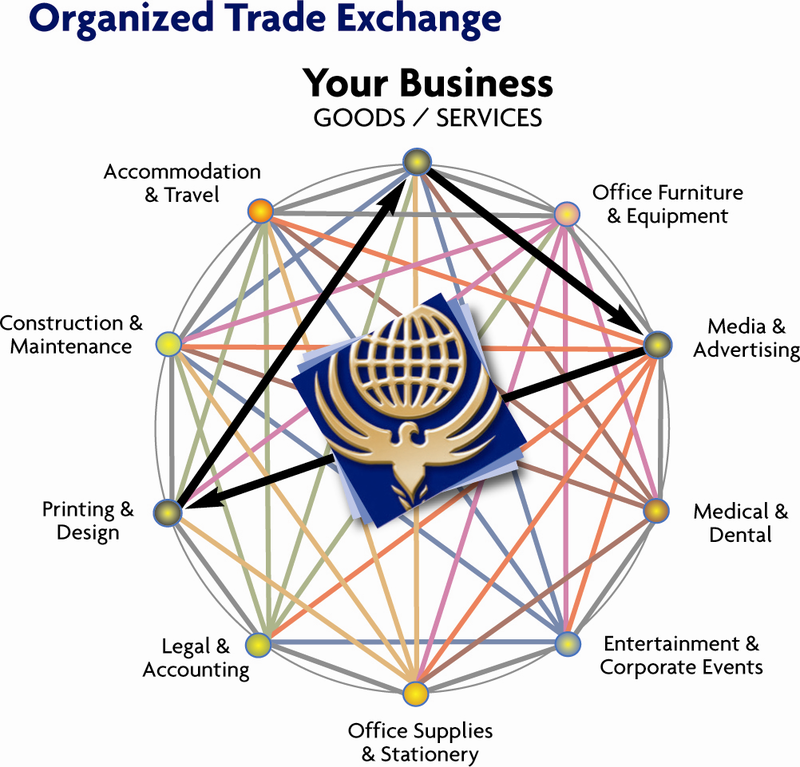 In an organized trade exchange, all business-to-business members charge market price for what they sell on trade and are paid directly into their trade account. Billions of dollars in unsold inventory, excess capacity, and untapped resources are traded by businesses each year. Trade is a powerful financial tool for businesses to maximize their productivity and profits. Request a personalized demonstration of the Tradesource trade exchange or apply online for membership.